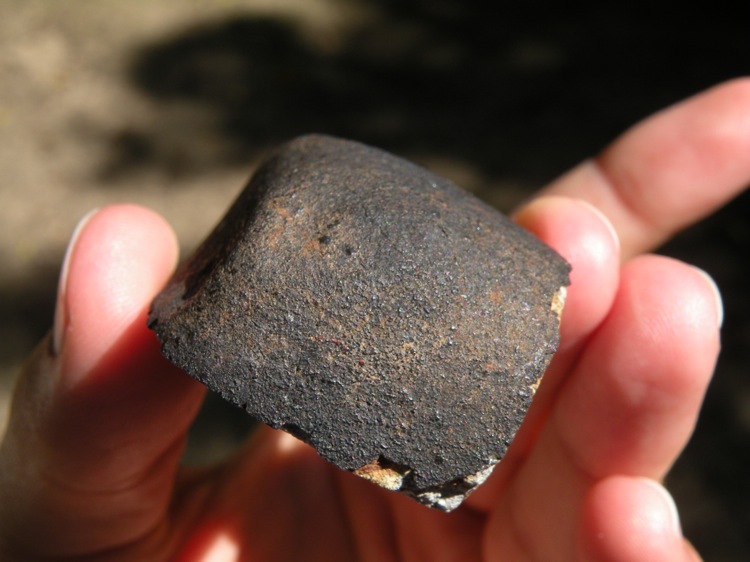 The Leedey meteorite fell in Oklahoma on November 35, 1943. 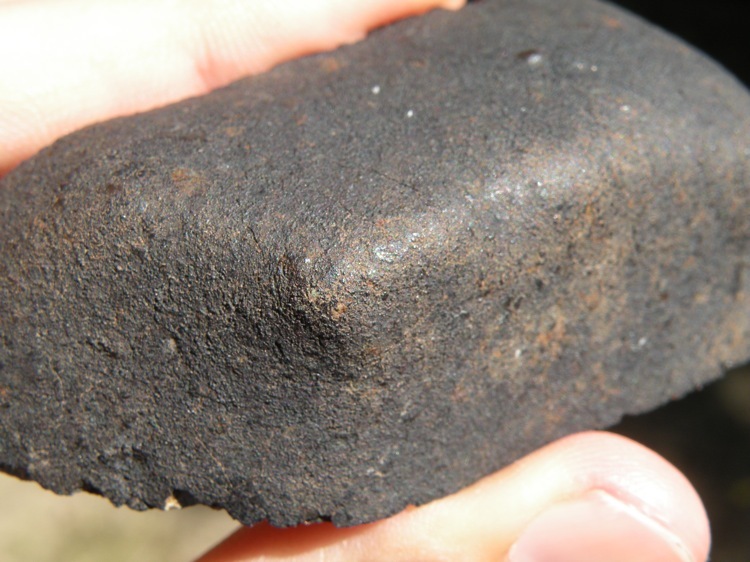 Following a large fireball, 24 stones were recovered, yielding a total known weight of just over 50 kilograms. 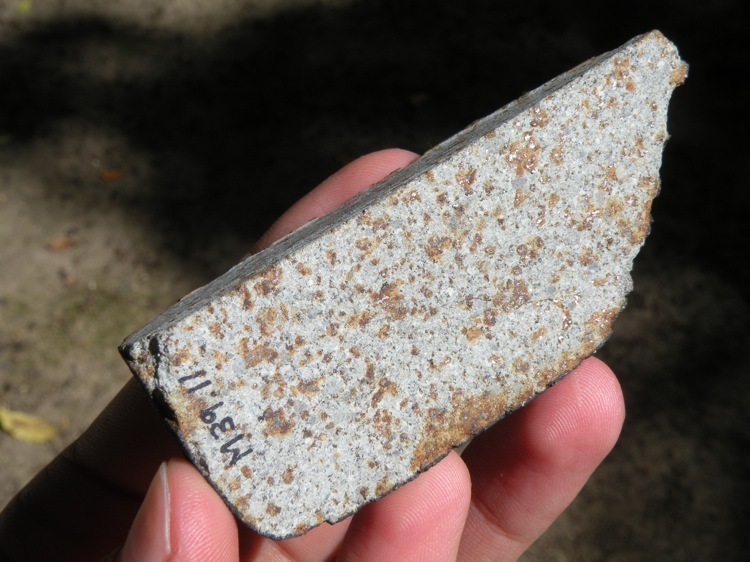 The recovery of the meteorite is a somewhat historic event; both Oscar E. Monnig and Harvey H. Nininger showed up to the fall site, and they wound up splitting and sharing the main mass. 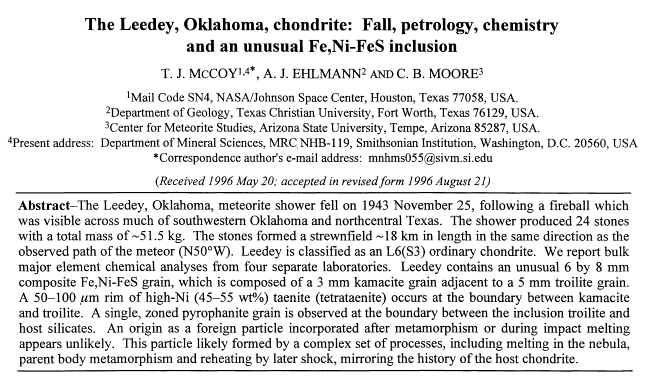 Leedey has been featured in many articles and has helped further our understanding of ordinary chondrites. 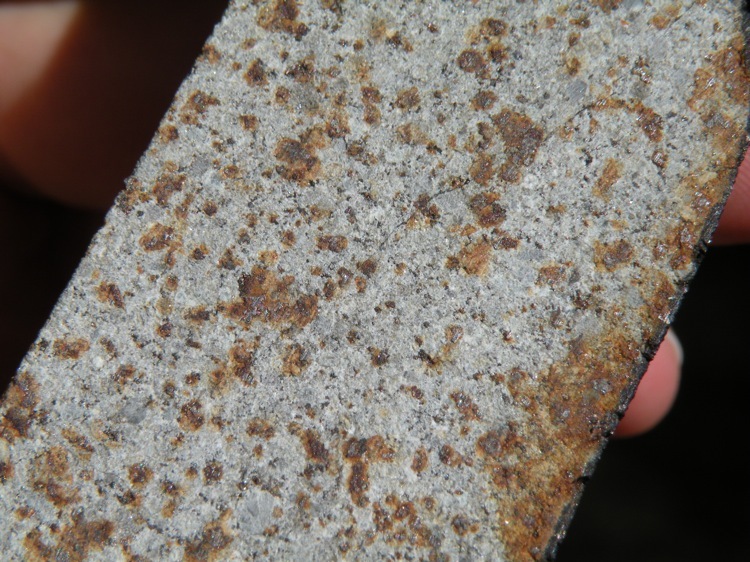 This specimen has quite a history. The 141 gram 1/4-cut was cut from Nininger No. 489.21, and bears the Monnig No. 39.11. 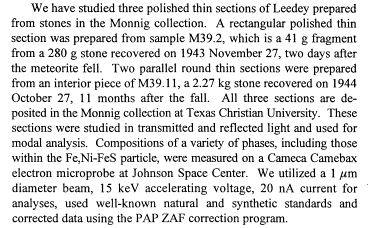 It was cut from a 2.27 kilogram stone “found on Leslie place by a Ferguson boy” on October 27, 1944.1 The stone from which it was cut is mentioned in the paper pictured above and below (see below for specific mention), written by Tim McCoy, Art Ehlmann, and Carleton Moore. 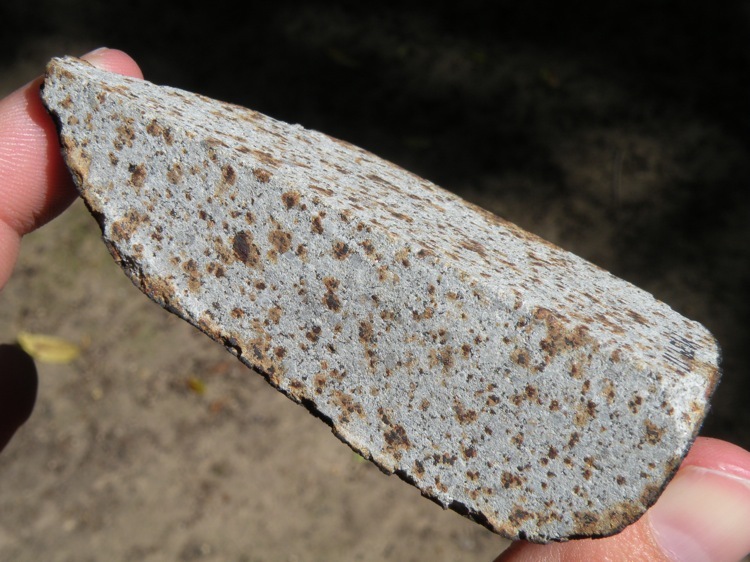 This stone was recovered by H. H. Nininger, traded for or bought by Oscar E. Monnig, and was studied by some of the most famous meteoriticists in history. 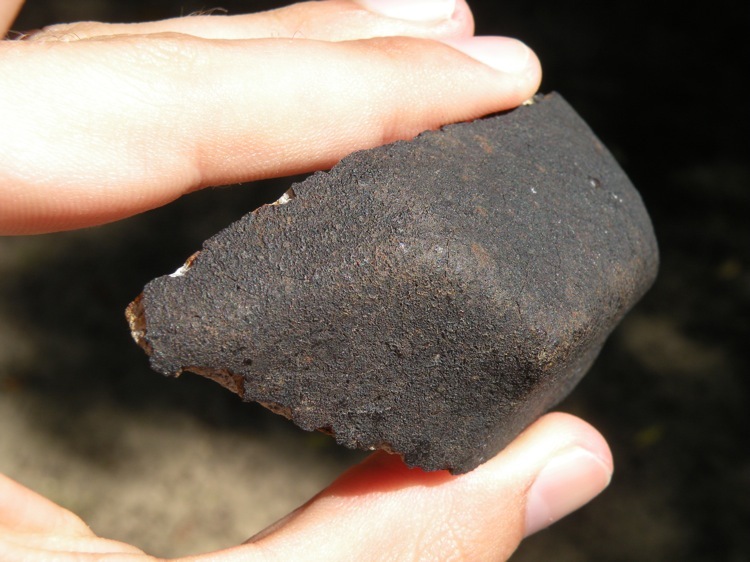 It should be noted that this piece is actually larger than that in the Smithsonian’s collection, and only six museums and institutions in the world are noted as possessing larger pieces in Grady’s Catalog of Meteorites.